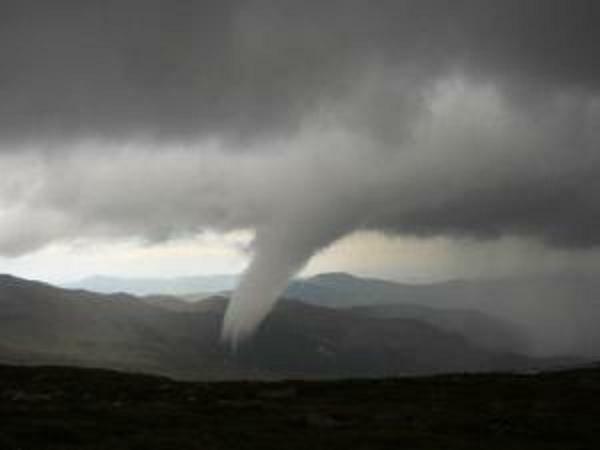 This stunning tornado touched down atop Mount Evans in Colorado on Saturday, July 28, 2012. 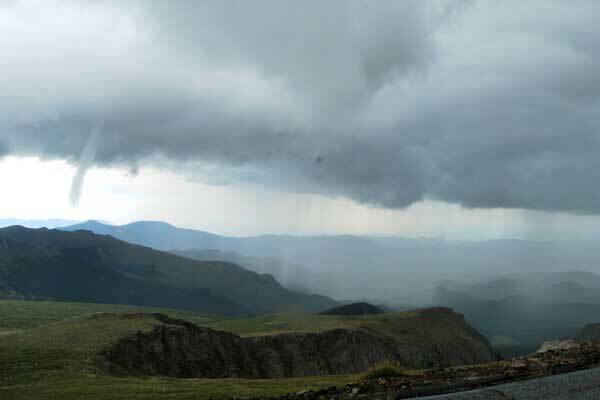 Mountain-top tornadoes, while not unheard-of, are incredibly rare. 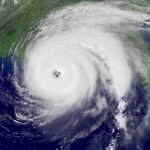 Tornado formation is most common in the plains states to the east where warm, humid air from the Gulf of Mexico surges north and clashes with cooler, drier air from the west and north. While such conditions are not as common in the western United States, occasionally conditions will come together to allow brief spin-ups. 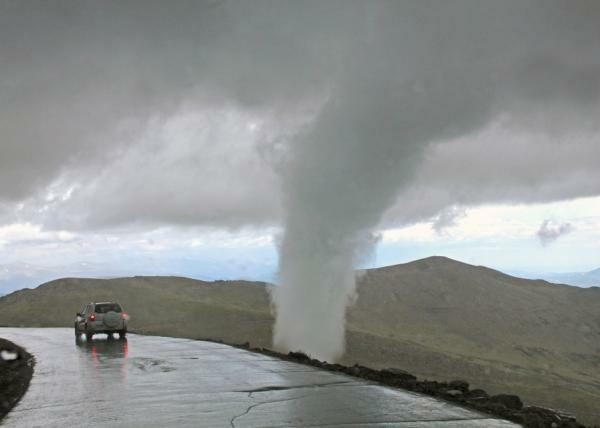 Karen Goodwin posted this stunning photograph to Twitter, showing the tornado that touched down atop Mount Evans on Saturday, July 28, 2012. The National Weather Service reports this tornado touched down at an elevation of 11,900 feet, making it the second-highest tornado on record. Meg MacDonald captured this stunning image of the mountain-top tornado in Colorado on July 28, 2012. This tornado ranks second on the list, behind only one other. In 2004, a hiker in Sequoia National Park in California captured this photograph of a tornado at an elevation of 12,000 feet, making that the record-holder for highest elevation tornado ever documented. 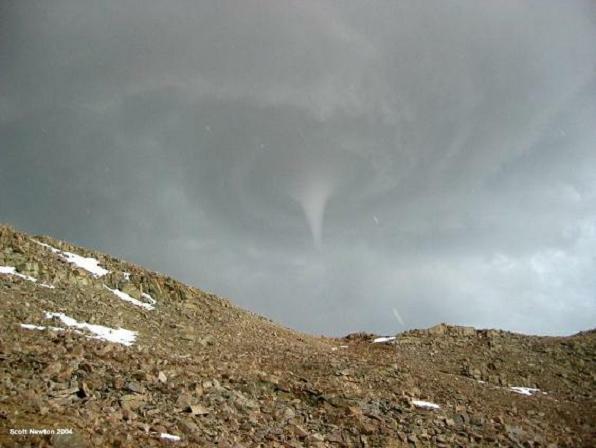 A hiker photographed this tornado at an elevation of 12,000 feet in Sequoia National Park, California, in 2004. The branch of this is meteorology. The meteorologists will have to chase the storm and and discover how it formed. The event is a tornado. Typically, these types of storms can produce what are known as cold air funnels. Which are not tornadoes but do develop from cold air pooling in the upper levels of a thunderstorm. And with differing temperatures at altitude wind shear can cause a funnel-shaped cloud to drop from a thunderstorm. These funnels tend to be very weak and almost never touch the ground.